I don’t think Helen at Routes for Little Boots will mind if I say she’s become my go-to for all things walks and outdoors in Norfolk! 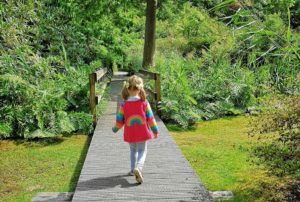 Routes for Little Boots is an excellent account to follow if you’re looking for inspiration to get you and your Mini Mumblers out the house, especially as the days are starting to get longer and the weather is getting a bit warmer. 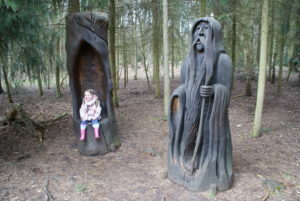 Helen has written her Top 5 Family Friendly Springtime Walks in Norfolk for us…thanks, Helen! I absolutely LOVE Sandringham. We visited here at its sparsest last winter and it was still such a fantastic find. It’s a beautiful woodland walk. Free parking, gift shop, café, great changing facilities, amazing play area and a sculpture trail! 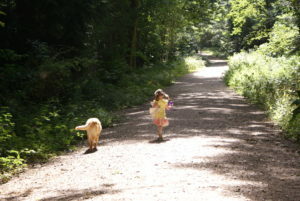 There are two nature trails, (1½ miles and 2½ miles), as well as many other woodland paths to explore. Definitely pushchair friendly and dog friendly too (no dogs in the play area), with rhododendrons bursting to life in May. 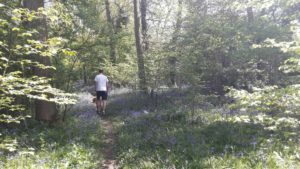 Foxley is Norfolk’s largest remaining ancient woodland and is full of beautiful spring flowers. Primroses in early spring, followed by carpets of bluebells mid-April to early May. Just about pushchair friendly (paths had quite long grass when we went) but I’d probably opt for the baby carrier. Close to the fantastic Bawdeswell Garden Centre and Hamptons for facilities and refreshments. What a find this was last year! A beautiful little woodland walk turning into a small, beautifully formed and well-planned garden walk – springing into life this time of year! Perfect length for small children, pushchair friendly and a cracking slice of cake in the café. Eco toilets available near the café (didn’t see baby change though). There are other networks of walks nearby of you want to explore further. Loved it! One of our favourite places that we return to again and again – and now I find out it has bluebells in May too! It’s a great spot with several different routes. We’ve only ever done the red route which is 1.3 miles as it has an ancient Sessile Oak which is perfect for climbing in, but there are other trails to explore too (map available to download on the page in the link below). We also love the pond and all the dens. No facilities unfortunately, although North Walsham is nearby. One of my all-time favourite trails, great all year round and with a trail of 15 bronze plaques installed by artist John Behm. It has snowdrops in early spring and primroses and bluebells later in the spring in the churchyard. There are also carpets of bluebells in the ‘Long Plantation’ wood about a mile away in May. 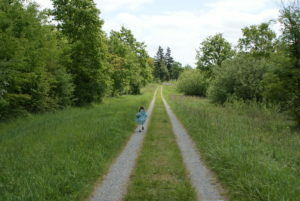 The sections nearest the church are the most accessible (Church Plantation and Millennium Wood). No facilities, yet (the church is trying to get funding to change it into a community space with toilets – watch this space!) but Acle is just down the road. Little treasure.